Online Compliance Software enables organizations to easily monitor whether they are following government regulations in their business practises, be this telemarketing procedure for example or following the guidelines for operating a business in whatever industry or category they operate under. 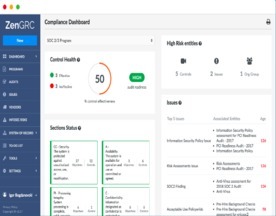 The Compliance Software here is offered under the SaaS (Software as a Service) model, meaning that the software is web based, hosted on the Cloud and can be accessed when needed through a client or web browser. If you’re interested in online software similar to Compliance Software, consider our Business Performance or Expenses Management Software categories.